On the main Dashboard page there is a Summary page where you can see number of Open/Pending tickets and Paid/Pending/Overdue invoices. In the Settings tab, you can update your account password and Personal settings. You can also update your profile avatar. Here in My Invoices tab, you can check summary of all the invoices. You can export all the invoices in an excel sheet by clicking Export button. If you want to check more and complete Invoice details of any specific invoice, click on Magnify icon. Here in invoice details, you will see customer details and Payment details. You can check product details, whatever is purchased with this invoice on this page. You have option to download this invoice into pdf format. Here you will see your purchased servers/services with summary of resources. For server/service access details, click on Manage Server or View Details. You can also purchase addons service from My Servcies page. For this, scroll down the page and click Purchase Addons. In the Tickets section, you can contact DDevOps support by creating tickets. On this page you can check status of all tickets that have been categorized into Open, Pending and Solved. On this page, you have a referrer URL to use it as your reference while referring to your friends. You can copy the link to send it to your friends through email or any other source. You can also invite friends directly from this page by giving their email IDs and Submit. You can request any service quote at any time on this page. Select the category request for and write details in quote message. Here you can check documentations, guides and Announcement articles. Type sudo -i and enter your admin password. Enter the entries by pressing "i"
Once entries are made press "Esc" and type ":wq!" to save the file and comes out. Once you are happy that everything is working smoothly on your new server, you can ask us to take your site live from DDevOps. 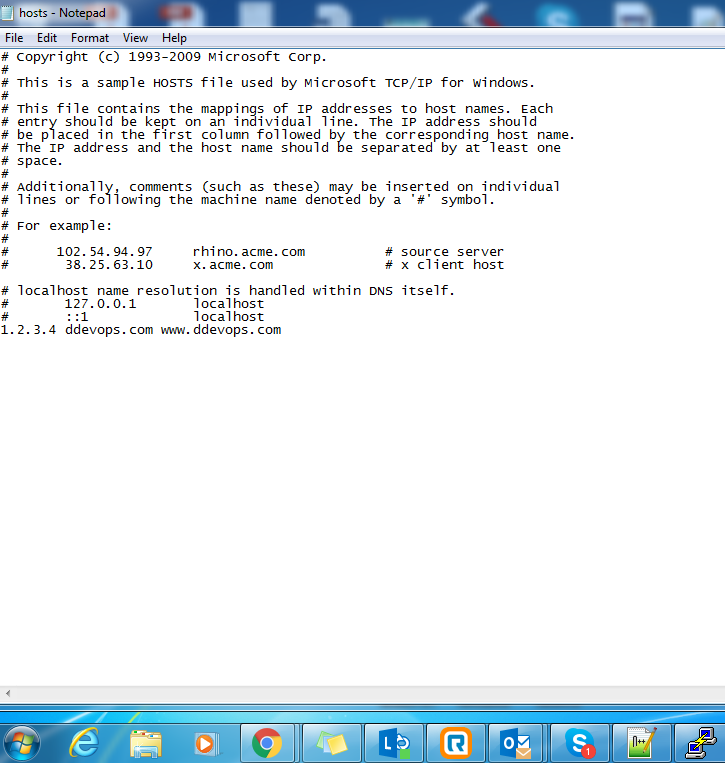 First, check out the IP of your server or the IP provided by one of our engineers. Now, we need to update the hosts file on your local device. 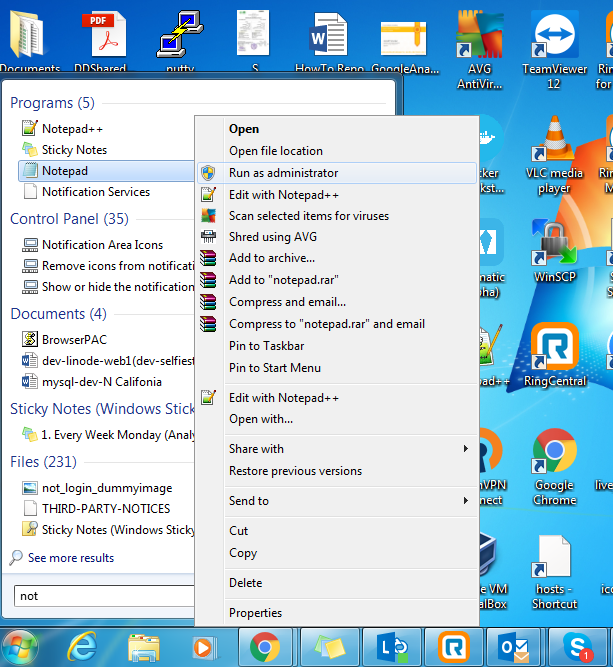 We need to open Notepad as Administrator. 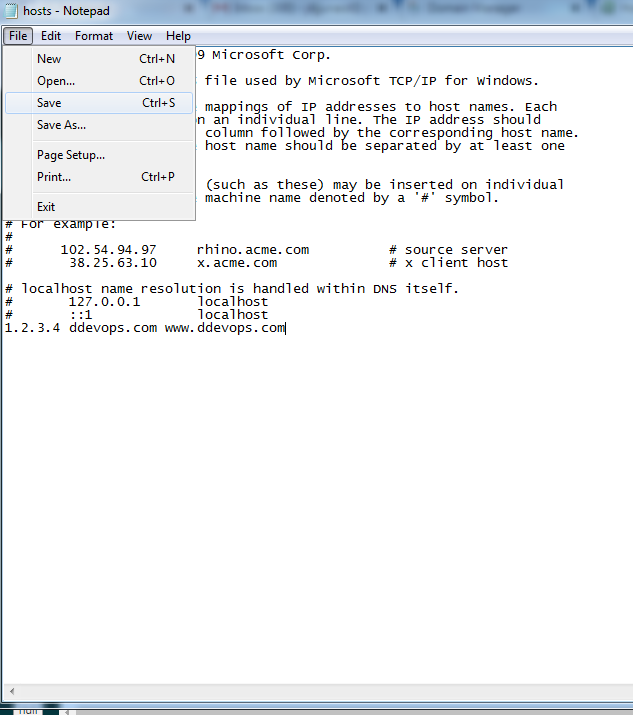 Paste your copied IP Address and type your domain name with and without www e.g. Now click on Save to save the changes. 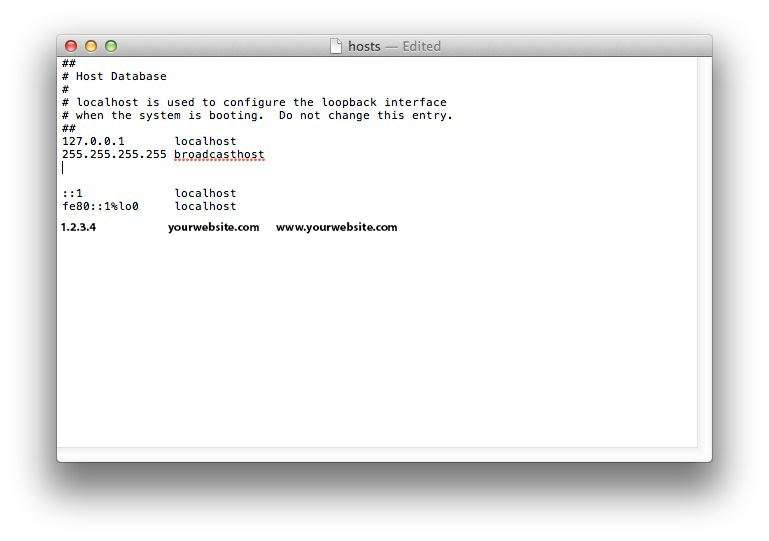 After doing this process, your local device points to the new server for your application domain. You can now test all your website functionality while your users/customers continue to access the original server. DDevOps pleased to announce the launch of our brand new website. After the months of hard work and dedication from our team, we are excited to officially announce the launch of our new website! Check us out at https://ddevops.com/. The new website offers visitors a user-friendly easy navigation, allowing viewers to easily browse for different solutions on how DDevOps can provide different product to meet your business goals. Our professional experts and certified engineers help you to improve your operations and infrastructure, optimize your servers, secure your acids and reduce your costs. Check out our latest featured product and packages. Furthermore, we are offering a complete organized dashboard for clients so they can easily manage their products and get in touch with support. We are constantly updating our content, products and services, events, special announcements, and to introduce more features in client backend. Also, we would like to give special thanks to CTO, Designer, Developers, DevOps engineers, content writer and the whole team for working together to create this cutting-edge website that provides one-stop technical solutions linking DDevOps and customers. I hope together we will be going to achieve different milestones and provided constant support through our process. We hope you enjoy our website! For any questions, suggestions, feedback or comments, please email us at info@DDevOps.com.